Celebrate the special ladies in your life. Happy Mother’s Day from MVD Express! 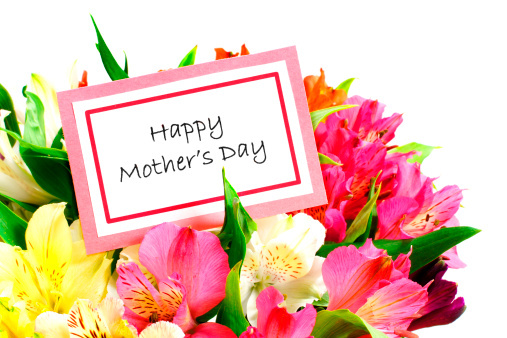 Today, we honor the bond that we share with our mothers, their influence in our society and the people they are to us. Without them, we wouldn’t be what we are today! Giving her a “Mom’s Favorite Child” mug. If you’re an only child, you’ll make your mom laugh. If you’re not, you’ll still get laughter…and maybe a few stares from your siblings. Write her a song. She’ll either be really impressed or really unimpressed, depending on how well you’re able to sing. Drawing her a picture. Although you might have done this in the past, it’s probably been awhile since you last drew one. And every picture you draw is different, making your gift unique. If these don’t work for you, a practical gift might work. Take her in to MVD Express to get her license renewed or make a gift to someplace like Roadrunner Food Bank in her name. It might not be as original as the gifts mentioned earlier, but you’ll still be able to let your mom know that you care. Whether it was your mom, an aunt, or a woman in your community that you looked up to, having a female role model in your life has influenced you in many ways. At MVD Express, we celebrate and recognize the positive female role models in your life and encourage you to show them how much you care every day!